A bumper bag of fiction to sling some zing into your holiday. On the beach, in the park or chilling out at home, make time fly with a great book! 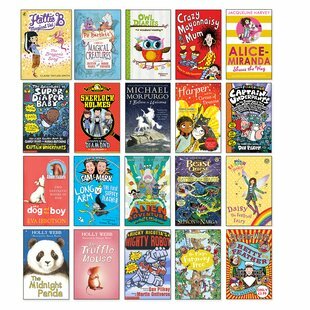 From Captain Underpants to Holly Webb, this pack is stuffed with blockbusting authors and series you really shouldn’t miss. (All at a price you’ll totally love.) But how will you find the time to catch up on so much fabulous reading? Duh – that’s what holidays are for, right? Get relaxing with your favourite books! Enid Blyton, Holly Webb, Dav Pilkey and many more!